Comment: I would like to get an estimate for install of a water purification system. 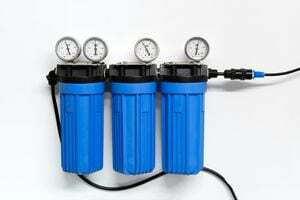 Comment: Looking for water softener options for entire home 2800 sq feet 2 and 1/2 bath. Comment: water supply is from a well high level of manganese and iron. interested in point of entry filtration system. Comment: We purchased a new house and we don't like the taste or smell of the water. Hoping to purchase a treatment system to help improve the quality. Comment: Our water softener seems to be running all of the time. Salem Water Treatment Companies are rated 4.80 out of 5 based on 31 reviews of 1 pros. Not Looking for Water Treatment System Contractors in Salem, OR?